Private label custom manufactured juices - Giraffe Foods Inc.
Pasteurized juice concentrates and fresh fruit make our FreshPack™ Juice & Drink Concentrates the right choice for your restaurant or hotel chain, daycare or healthcare center. Conveniently packed in bag-in-box format, FreshPack™ Concentrates hook up easily to your automatic dispensing equipment. Choose from Orange, Apple, Pineapple and Cranberry and more. FreshPack™ Soda Syrups offer the economic advantage over national brand syrups. 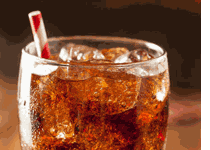 Choose from Cola & Diet Cola, Lemon Lime, Ginger Ale, Root beer, Tonic and more. For your bar and counter blenders, our FreshPack™ Bar Mixes are packed into convenient jugs and available for private label. 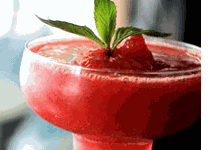 Choose from FreshPack™ Margarita, Strawberry Daiquiri and Pina Colada and more. As matches to the leading national brands, our FreshPack™ Soda Pop 5+1 Concentrates are available in convenient 5 gallon Bag-in-Box (BIB) format of Cola, Diet, Lemon Lime, Ginger Ale, Tonic, Orange Soda, Mountain Mist and Rootbeer. Our FreshPack™ Juice Blend 4+1 Concentrates are packed in 3 gallon (12 L) Bag-In-Box formats. 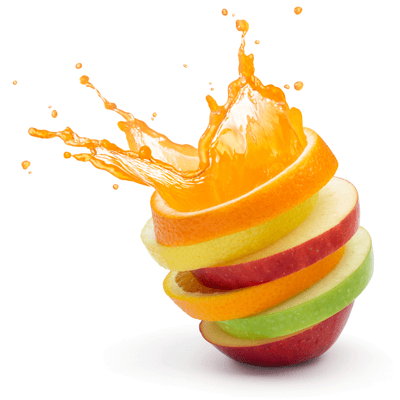 Choose from Apple, Orange, Grapefruit, Cranberry, Fruit Punch, Grape and Pineapple and more. Click here to contact us for more information. Complete your bar menu with our delicious FreshPack™ Bar Mixes made with whole fruits and fruit juices. Choose from favorites like sweet Strawberry Daiquiri, zesty Lime Margarita and creamy Pina Colada, all packed into 6 x 64 ounce plastic bottles. Looking to save on your cordials? Switch to FreshPack™ Cordials with matches to leading brands in Lime, Grenadine, Triple Sec and Blue Curacao. 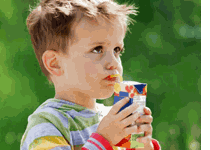 The perfect choice for your childcare, nursing or healthcare facility, our FreshPack™ 100% Juice Blend 7+1 Concentrates are made without any Added Sugars or High Fructose Corn Syrup. These highly concentrated 7+1 juices provide 100% RDI Vitamin C in just one four ounce serving. Choose from Apple, Grape, Cherry, Fruit Punch, Orange Raspberry, Citrus Punch and more. Now available with No Added Color, our FreshPack 100% Juice Blend Concentrates are available in Apple, White Grape, Fruit Punch and Cherry. Clearly, the best option for your childcare to eliminate surface staining. 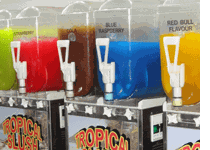 Our FreshPack™ Slush & FCB Syrups pack a punch of flavor in Red Cherry, Blue Raspberry, Orange, Grape and more. As Bag in Box or Jugs, these concentrates are available as 4+1, 5+1 and 7+1 mix ratios. For a more premium beverage, ask about our Smoothie blends made with real fruit and juices.